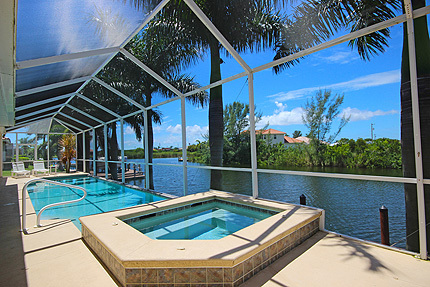 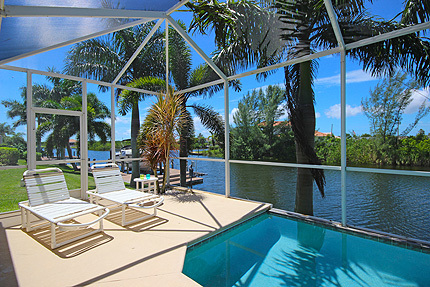 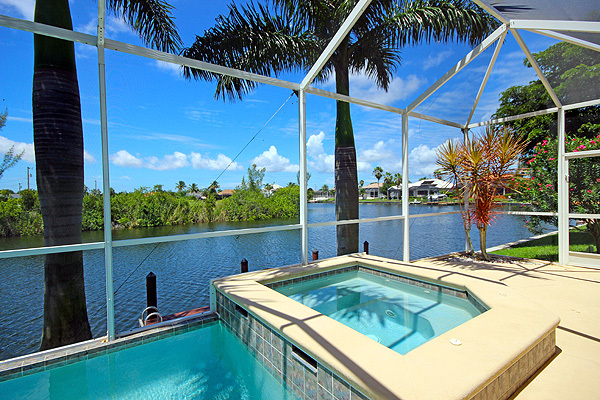 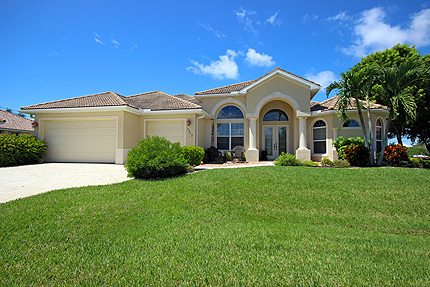 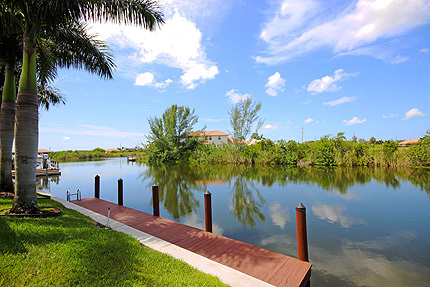 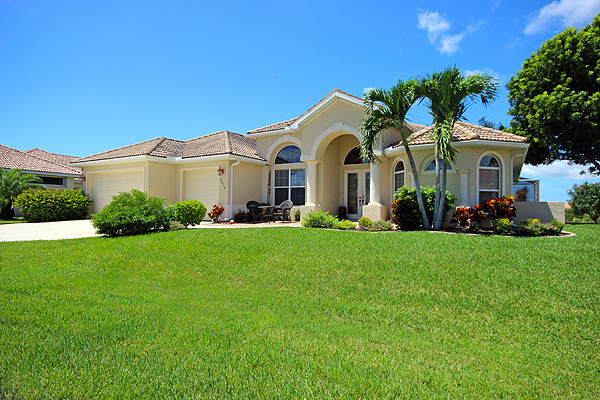 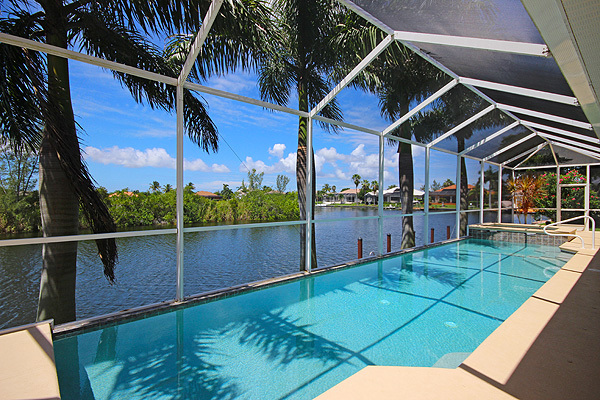 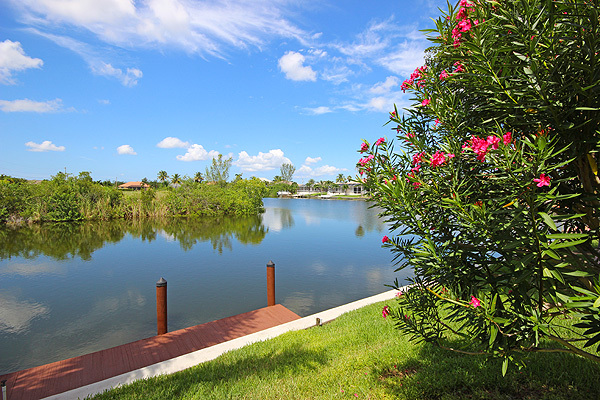 Stunning water views and beautiful intersecting tropical waterways. Exotic natural beauty and magical tropical sunsets - the greatest show on earth happens here every evening & the best seats in the house are just waiting for you. Much, Much More Than A Place To Live: stained glass doors, cathedral ceilings, Italian styled floors and stylish French doors. 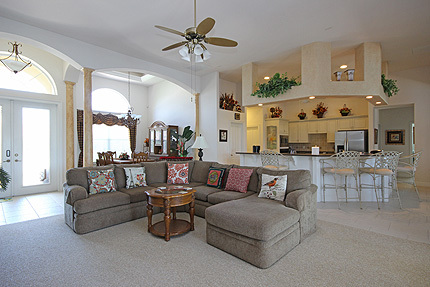 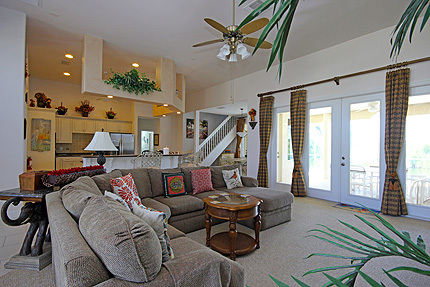 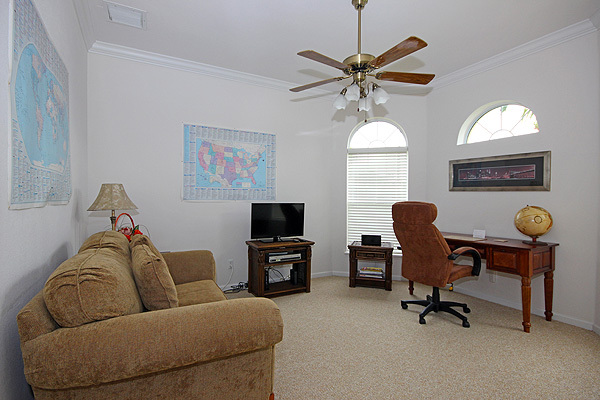 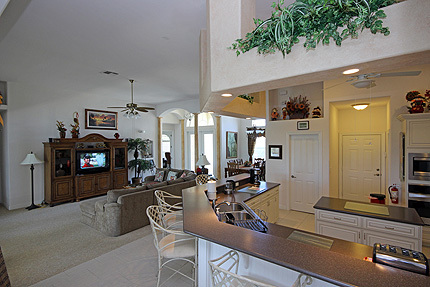 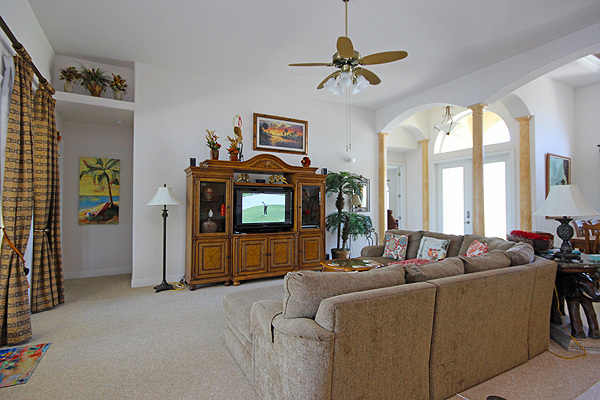 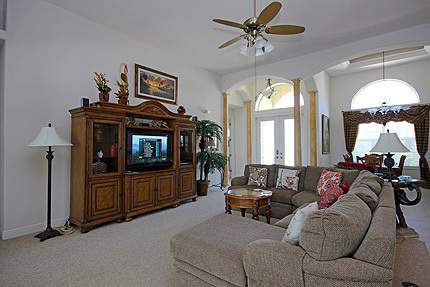 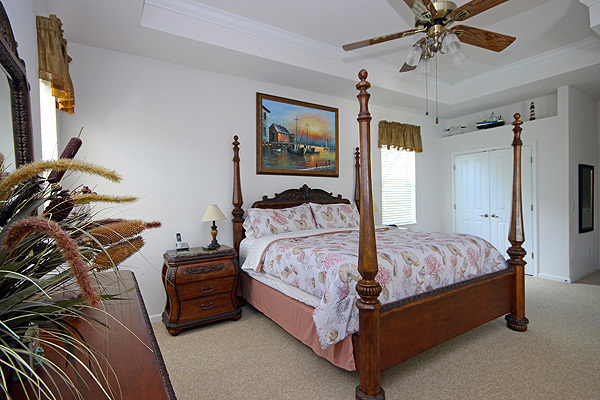 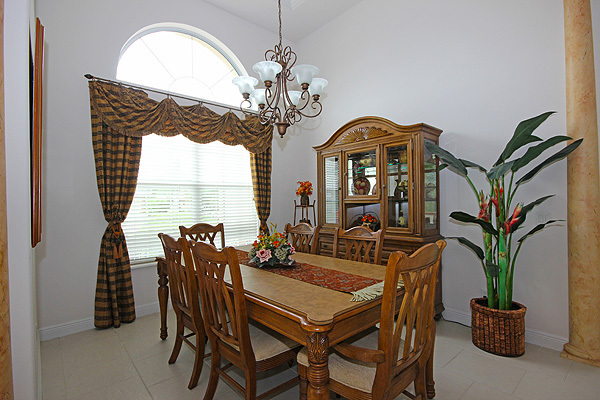 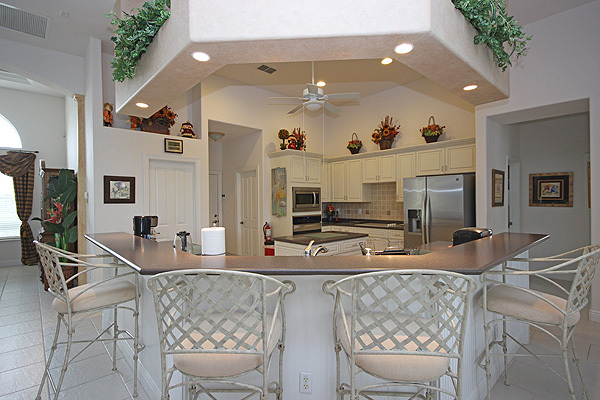 The family retreat enjoys stunning views of the waterway and features stylish sofas, Italian ceramic tiled floor, additional ceiling fans and wide-screen TV and home theater audio system, a private study has desk, high-speed Internet and additional TV. 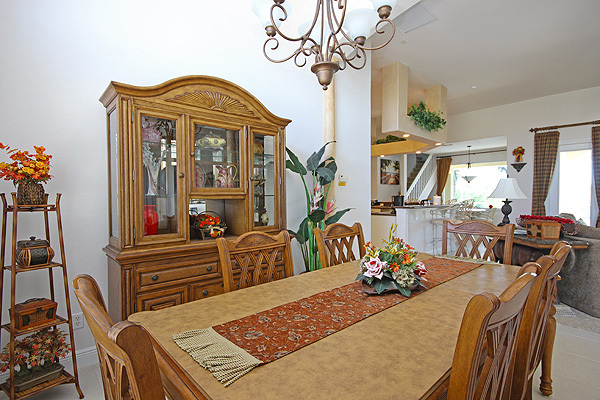 The showpiece dining room is elegantly furnished to provide a luxury formal dining environment with seating for six people. 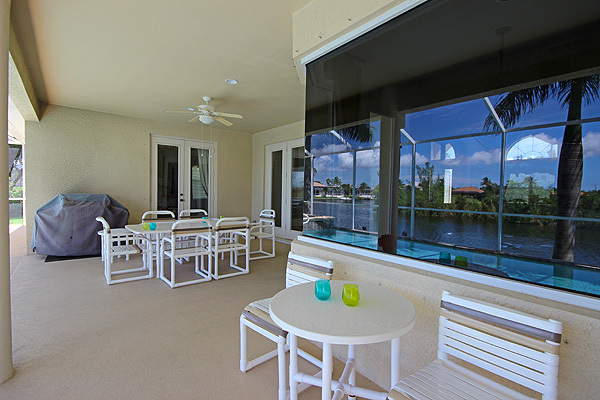 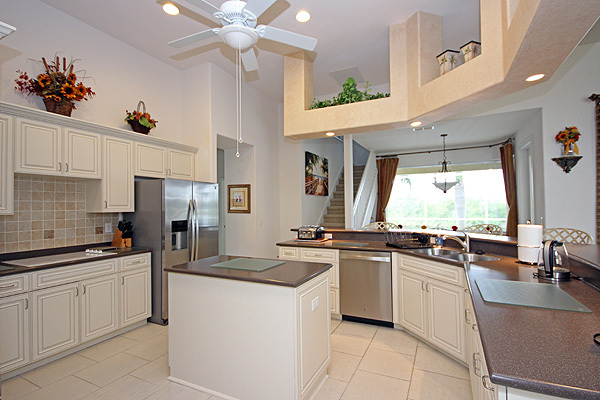 This open living design offers an array of spacious living areas, including a separate family room, outdoor terrace, a covered lanai area, indoor and outdoor dining spaces, and gourmet kitchen. The excellent floor plan allows for maximum privacy whilst providing the most memorable water views from every room. Chefs and cooks alike will appreciate the spacious Italian inspired luxury kitchen with marble counter tops, large centre island, beautiful wood cabinets with built-in oven, microwave and glass-top stove, luxuriously equipped with family-size refrigerator, freezer, separate walk-in pantry, dishwasher and an extensive selection of quality appliances and many amenities to make cooking and dining a pleasure. A separate utility room has family washer and dryer. The seated bar area and breakfast nook provides dining spaces for up to eight people. 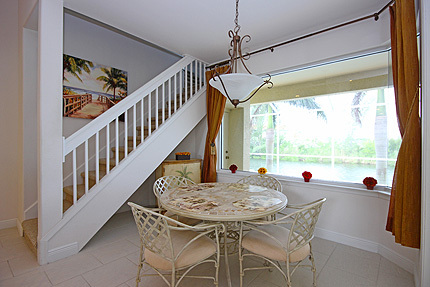 Enjoy air-conditioned dining indoors in the formal dining area, or choose “island-style” dining al fresco by candlelight outside under the shimmering stars. Staircase from the kitchen area leads to a 1960’s “retro style” upstairs games room with outside balcony overlooking the waterway. 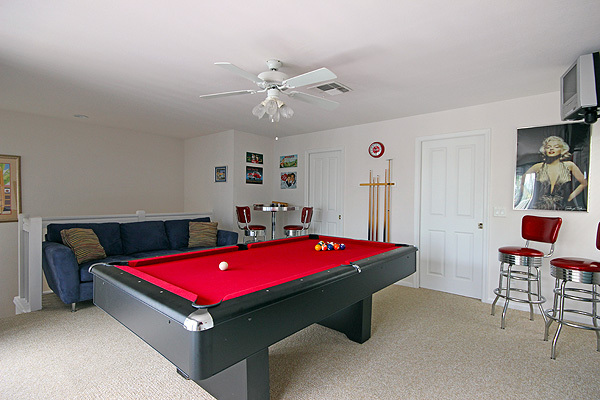 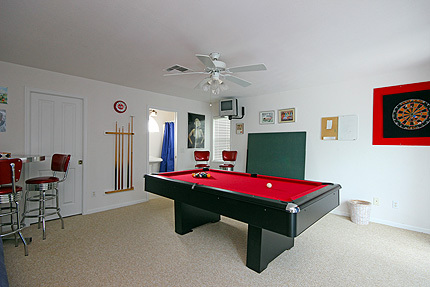 Equipped for pool, table tennis & darts with sofa, and full bathroom including shower and toilet. 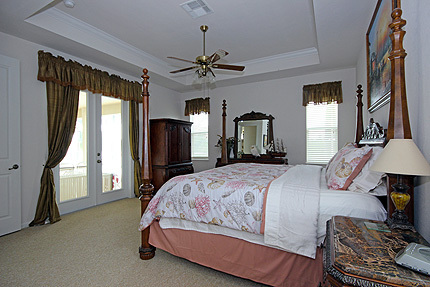 Features luxury “chateau-style” king-size bed, full dresser unit, double walk-in closets, separate armoire with TV & overhead ceiling fans. 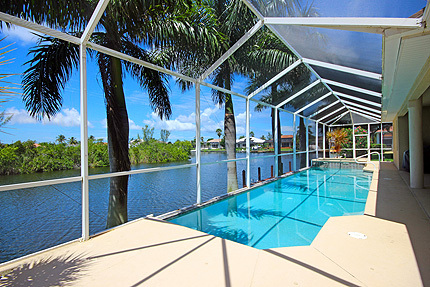 Tall French doors open directly onto the pool deck and provide views of the waterway. 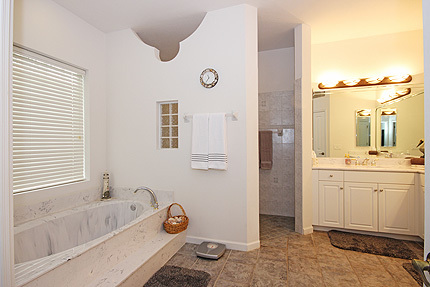 The luxury en-suite bathroom has large master bathtub, Roman-style walk-in shower (no step & suitable for handicapped access) separate toilet and twin vanity units. Features “Tommy Bahaman’ Caribbean-style furnishings with queen-size bed, French doors opening to the pool deck, overhead ceiling fans, walk-in closets and TV. 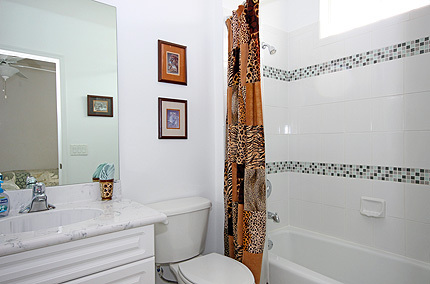 The en-suite bathroom has walk-in shower, toilet and single vanity unit. 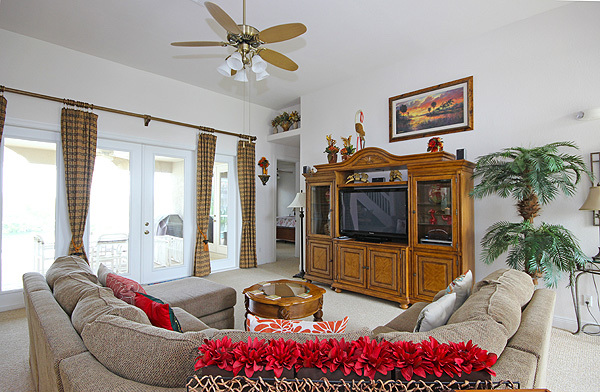 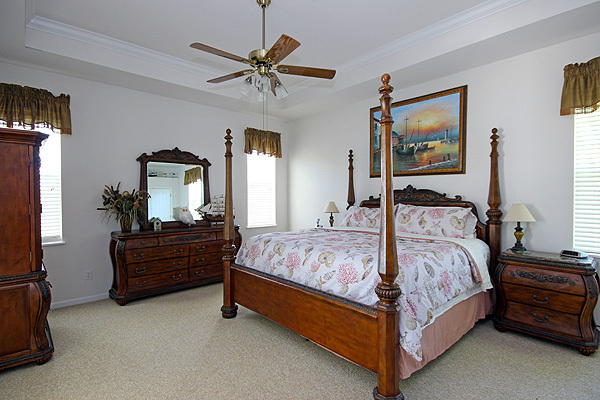 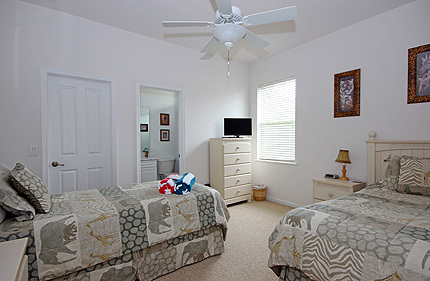 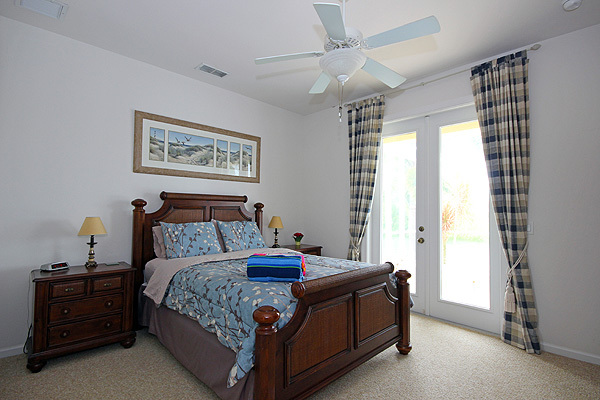 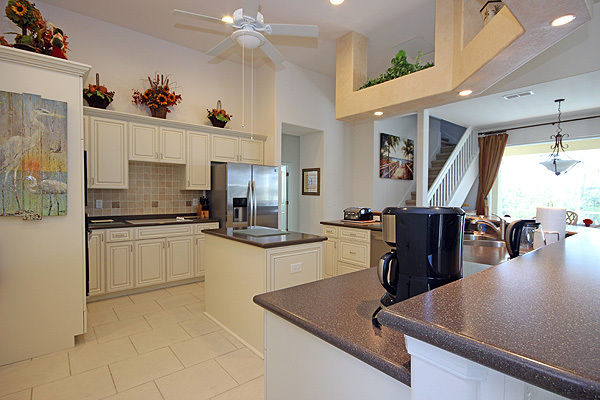 Features twin beds, overhead ceiling fans, walk-in closet, TV. 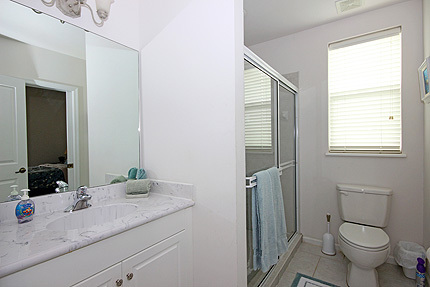 The en-suite bathroom has over-bath shower, toilet & single vanity unit.